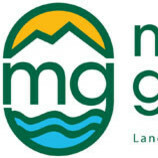 At Mountain Green Landscaping we have building our reputation on quality services, delivered promptly and professionally. Our goals are to make property owners proud of how their grounds look with the most effective price. Also, I understand the challenges involved in INSTALLING and maintaining high quality landscapes, specializing to install Irrigation Systems and providing Irrigation repairs. Locally owned and operated, we provide commercial and residential lawn care services in Black Mountain and Swannanoa, North Carolina. Providing quality service for a reasonable price. Offering free estimates. 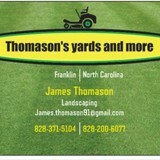 Whether it is mowing, weedeating, weeding flower beds, spraying road ways, blowing leaves, etc. we can do it! CW Lawn Care is a local Leicester-based business that specializes in mowing/trimming, mulching, fertilizing, aerating, and leaf cleanup. For nearly 45 years PECO has been designing and manufacturing lawn vacuums and outdoor power equipment in the mountains of Western North Carolina. Anthony's Lawn and Yard specializes in lawn maintenance and lawn services. We service Weaverwille and all surrounding cities. Please feel free to give us a call to find out more about our services. We look forward to the opportunity to work with you soon! Blue Ribbon Lawncare & Maintenance, Inc.
We have been in business for 20 years! We provide complete lawncare for both commercial and residential customers. Call us for a free estimate! Clean Air Lawn Care Asheville is a full-service sustainable and organic lawn care company for residential and small commercial properties. By working with Clean Air Lawn Care Asheville you choose a lawn care service that is professional and cares for the health of your property, family and our environment. Our team is formed by "true believers" that promote sustainable practices with solar-powered lawn mowers and organic fertilizers that are safe for kids and pets. We work with the unique needs of your yard to bring you the most beautiful and healthiest lawn in the neighborhood. 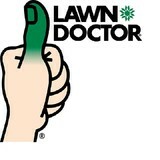 Contact us for a free estimate and let us show you how your lawn can look amazing the natural, chem-free way! I serve local chefs in the WNC area with microgreens and garden produce using organic growing methods and non-gmo seed. Edible, perennial landscape design and maintenance by certified permaculturists and professional gardeners. Serving Western North Carolina Since 1993. Over 25 years of experience in property maintenance & landscaping for (commercial & residential) customers. Natural Timber Lawn Care has been built on a very firm foundation of strong Western North Carolina values and is structured for your success. This success has resulted in some of the most, well-cared for landscapes found in Western North Carolina. We have been in business for over ten years now, and look forward to many more years of continued success and satisfied clients. We offer a wide variety of services, catering to the clients who really do care about the overall aesthetics and value of their properties. We have invested in our equipment to ensure that the lawns we care for and maintain will fit the individual lifestyle of our clients, satisfying their every need. We are known for our honesty, quality work and reliability. We take our reputation seriously – which means we work hard to build and keep a strong relationship with all our clients! Do you get yard envy when you see your Weaverville neighbors’ lush garden, and bemoan your lack of a green thumb? If you want a bountiful yard without doing a bounty of yard work, hire a gardener in Weaverville, NC! From lawn maintenance to plant cultivation to weeding to general landscaping, Weaverville, NC gardeners have the expertise and experience to create an abundant garden for you that will be the cause of neighborhood yard envy! In addition to the maintenance side of gardening, Weaverville, NC gardeners can help you with garden design and choosing specific plants and grass types for your climate and area. Find a Weaverville, NC gardener on Houzz. Narrow your search in the Professionals section of the website to Weaverville, NC gardeners. You can also look through Weaverville, NC photos to find examples of yards that you like, then contact the North Carolina contractor who worked on them.